California's Wreck & Reference are readying a new full-length album that will be available this June from Flenser Records. 37 minutes in length, it was recorded by the band and they are currently working with Jack Shirley (Deafheaven, Whirr, Loma Prieta) for mixing and mastering. This new record sees Wreck and Reference taking a new sonic direction while maintaining their hold on experimental, electronic, and post metal genres: a trainwreck of contradictions that is devastatingly addictive. Check out a segment of a new track alongside footage of Wreck & Reference in the studio here. 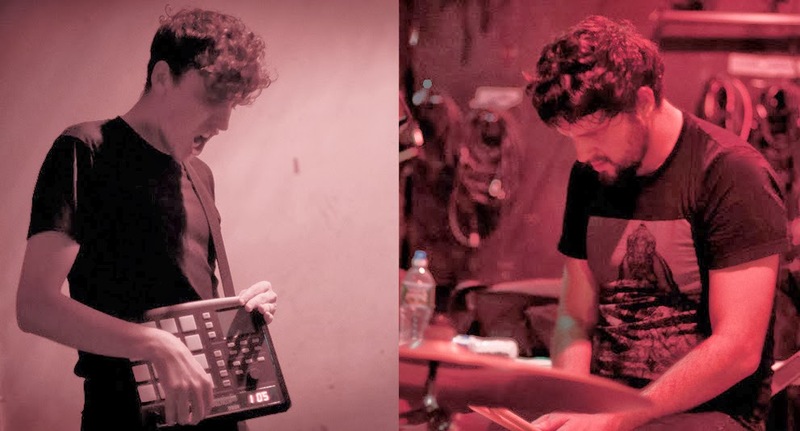 Formed in 2011 by drummer Ignat Frege and instrumentalist Felix Skinner, Wreck and Reference play by their own rules and create a sound that is unorthodox and captivating using drums, vocals, and computers. The band released their demo Black Cassette that same year, which immediately turned heads from critics and fans alike. The following year, Wreck and Reference released their debut full-length, Youth, to more critical praise. Even more dark and mysterious than its predecessor, Youth catapulted Wreck and Reference to the forefront of unconventional and mysterious heavy music. The band released their landmark effort content in May of last year on Flenser, which was called "weirdly heavy and unnerving" by NPR. Song premieres, pre-order information, and tour dates with coming soon.